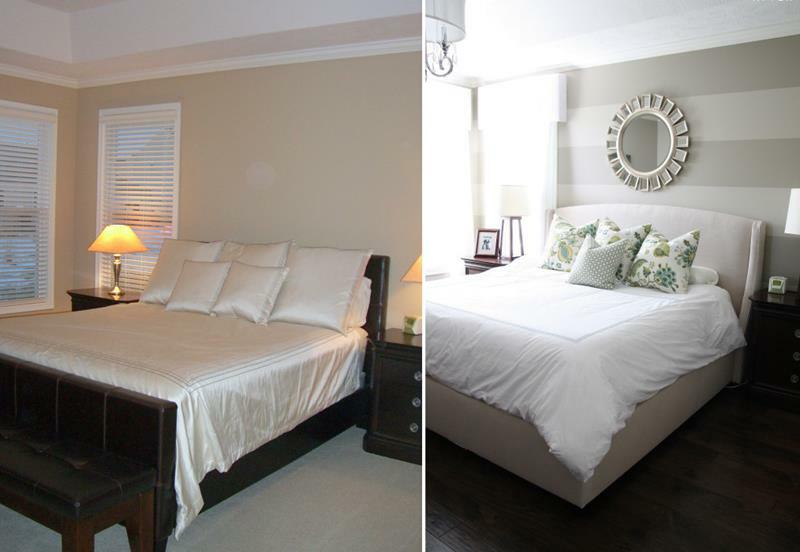 It’s often quite surprising that so many homeowners choose to neglect the design of their master bedrooms. Sure, it’s a room in your home that guests will seldom see, but it’s still a place where you’ll ultimately be spending nearly one-third of your days. 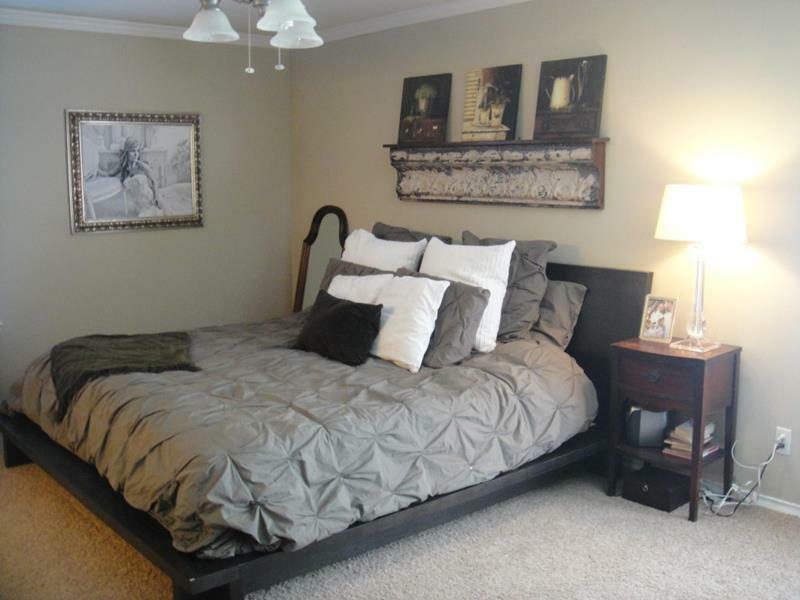 Given that, why wouldn’t you want your master bedroom to be everything that it can be? 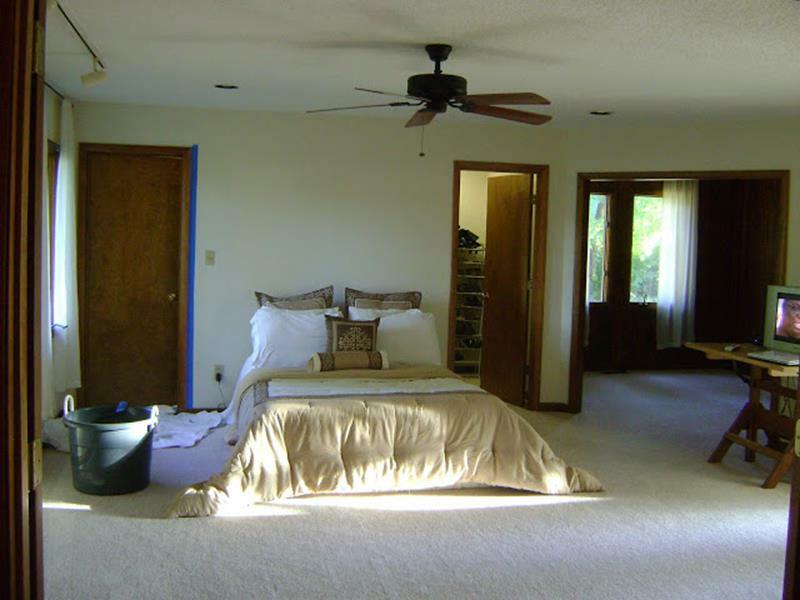 It’s not just the mattress lying on the floor that makes this master bedroom an eye-sore, it’s the completely dated 70s styling of the room, too! Isn’t it amazing what a fresh coat of paint can do? We’re looking at this master bedroom from a different angle, which allows us to appreciate those beautiful new French doors. 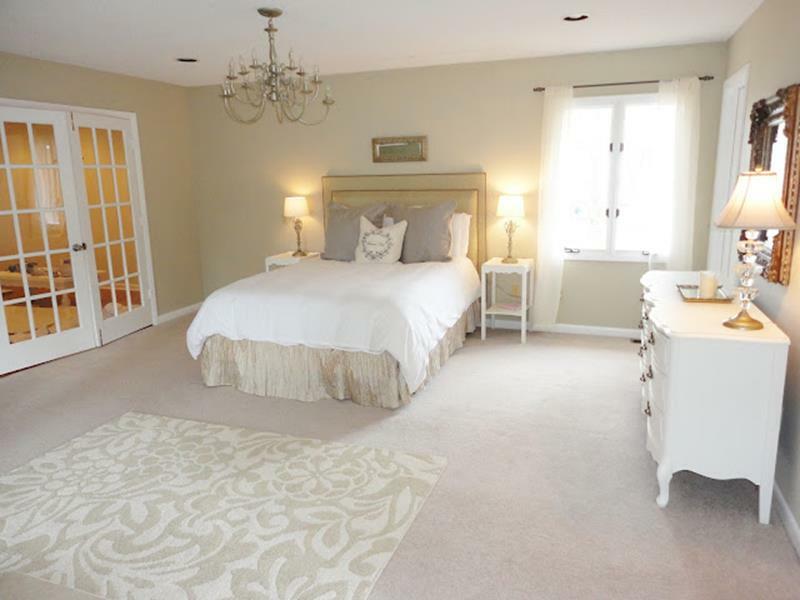 The space of this master bedroom is fine, but it’s completely unadorned, a fact that’s not helped by the generic furniture. 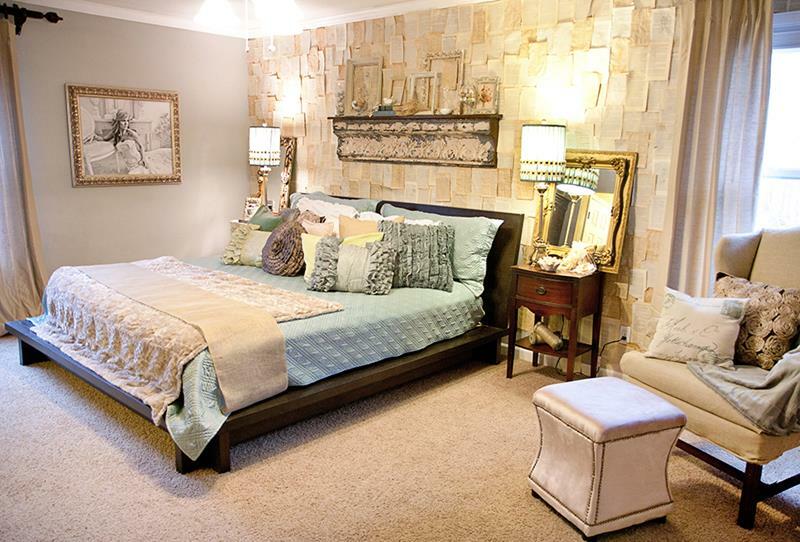 Note that the furniture is still the same in the after photo… But the inclusion of that beautiful accent wall imbues the furniture with a new sense of purpose and life.